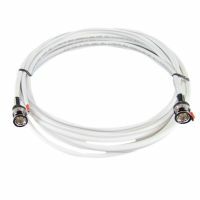 This REVO 100’ BNC premade coaxial cable is a premium grade BNC cable for use only with high resolution systems like the REVO Titanium series. 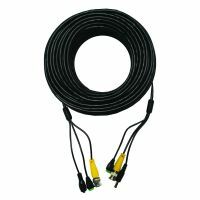 While other, inferior BNC cables may cause signal degradation, these REVO cables are manufactured with a braided metallic shielding designed to protect the video signal against 95% of harmful interference (EMI). 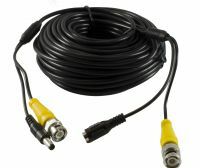 The cable is made durable and protected from moisture and oxidation with a thick outer layer. The cable is actually two cables conveniently spliced together. A 2.1mm DC power cable is paired with the Titanium coax cable to make a 2-in-1 cable for ease of installation. When dealing with higher resolution systems like the REVO Titanium, make sure your video looks its best with REVO premium BNC coax cables.